iPad Glass Screen Lesson. Cracked = Not Good. Repaired = Good. Hello everyone, I’ve been scouring the internet doing a little market research and if you’ve been following the blog at all lately, we’ve added a ton of new products and services. My General Manager Troy has really been at it hard finding and creating these new part numbers so we can offer them as soon as we can! As I’ve said in the past, imitation is the sincerest form of flattery…and in this case it appears that even the competition is taking notice, good job everyone! The Mission Repair “Got Repair” program benefits means that if you ever use Mission Repair for your screen repair, and if it ever breaks again even if you drop it, all you need to do is give us a call and we’ll repair it again for you under this program. That’s it. For example, let’s say you bought yourself a shiny new iPad last week, and then dropped and cracked the screen. I know this can happen, not only is my iPhone 5 currently cracked, but we see over 1,000 iPads in our service center every month with cracked screens- and we’re sympathetic to every one. So you do a little research, love our service, and get your cracked iPad into us for service. We will take the unit in, install a brand new glass panel, test the device through our QA department, and get it back to you just as soon as humanly possible. How soon you ask? We can even do it for you while you wait if you come visit our service lab in Olathe. I know, it’s an accident, it’s a terrible thing, and you had to have it repaired once – you might even ask “why me”? 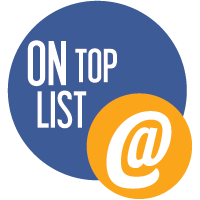 Well this is where you thank yourself for using Mission Repair to fix your ailing iPad – because we already have you in our system and because we want you to remember us and always use us for your electronics repair needs. So we will repair that same glass panel again and you’ll never pay full price again. It’s a thank you from Mission Repair to you, and it helps ease the pain of a bad situation. Does this mean that you’ll always pay if you ever have a problem with your screen after we repair it? No! The screen does come with a full ONE YEAR warranty against manufacturer defects and we’d be happy to repair it again if something fails under this warranty, and at no charge to you whatsoever! So remember Mission Repair lesson #213. Cracked iPad Glass = Not Good. Repaired iPad Glass = Good. The truth about iPad 2 Glass Repairs. 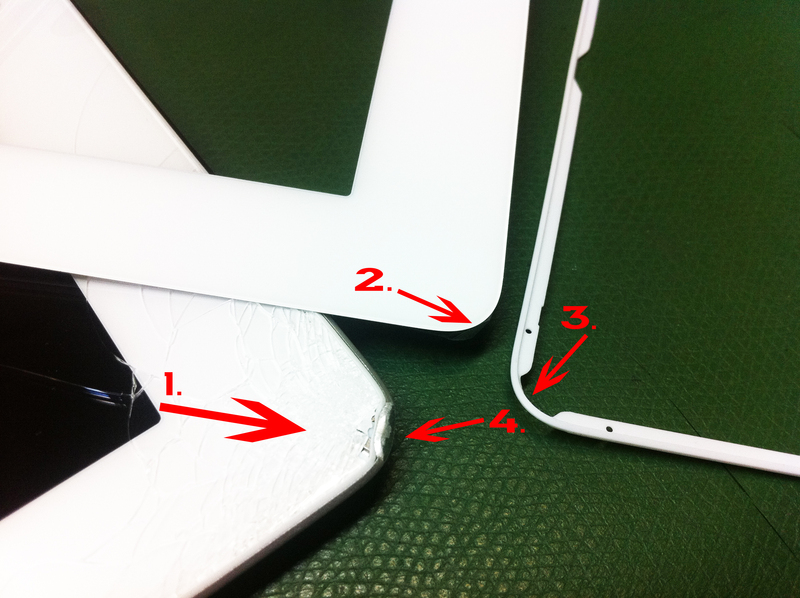 We’ve been rocking at the Mission Repair base and we certainly have a ton of new info to present to you shortly, but beforehand we should discuss the iPad 2 screen assemblies and the gasket that runs under the edge of the screen. As we all know, the iPad 2 has been a very popular tablet that is really taking the lion’s share of tablet sales. There are a ton of tablet “players” (I even went to Costco today and saw Vizio tablets for sale!) but the iPad is truly the best. 1. We receive many units with cracked glass, just like this one. It’s relatively obvious that this unit was dropped on the corner (you can see the flattened corner clearly) and it has subsequently cracked the glass. We’ll be happy to replace the glass on this cracked iPad 2. 2. Here’s a new piece of glass that’s about to be installed onto the unit. As you can clearly see, the glass has the original rounded corner that WILL NOT fit into the damaged ALUMINUM back plate as-is. 3. Here’s a new gasket. Remember it’s hard, rigid plastic and in this case, because the unit was dropped on it’s corner, the gasket is cracked and broken. Like any gasket, it’s designed to keep the dust out, keep a barrier between the glass and the aluminum, and it also serves as a “finished” look on your iPad that appears clean and factory fresh. In this case, we would MOST CERTAINLY recommend that the customer replace the gasket. It is a small additional charge, however it is not 100% necessary. 4. Here’s the dented back case. You can see that it has been flattened, and there’s NO WAY that replacing the glass (without some back case modification) it will fit. This customer now has two options. First, we can replace the back plate at an additional charge, or we can modify the back plate with hand tools and a small polishing grinder to rework the rounded corner at no extra charge. The second of these two options will not look perfect, but it’s a work around that will allow us to install the glass correctly and professionally. There are a lot of options here, and this example is the worst of it’s kind. The customer has opted to have us modify the back plate, install a new gasket, and install a new screen. I personally feel that this is the wise choice and the most economical choice as well. Don’t get fooled by other repair companies stating otherwise – when choosing a service center, you need to have these options when deciding on your iPad 2 repair. Not having these options is like being offered 1/2 of the repair and it’s irresponsible. Of course, you know that Mission Repair has the parts in stock, the experience and the service capabilities to make your iPad 2 repair right and fixed right the first time. Our technicians will be happy to assist you with your decisions and recommend the right repair that suits your needs. Mission Repair is the Intelligent Choice! Thanks, I’ll be back soon with more great information!